It’s no secret that the Brits and Americans pioneer the film industry, so melding tea and biscuit nibblers with cookies and cream chompers, makes for some fantastic onscreen chemistry. From the period drama BEL AMI to the sci-fi comedy SEEKING A FRIEND FOR THE END OF THE WORLD, these Trans-Atlantic collaborations on Sony TV this month will have you yelling ‘Ye-Ha’ in no time. With Madonna’s second film, W.E, starring English actors such as James D’Arcy (Hitchcock, Let’s Be Cops, Age Of Heroes) and Andrea Riseborough (Made In Dagenham, Brighton Rock, Oblivion), it’s easy to see why these collaborations work. The film tells the story of lonely New Yorker Wally, fascinated by the romantic story of King Edward VIII and his lover, Wallis Simpson. The Evita star’s attention to detail goes to lengths so great, that in order to achieve absolute perfection she even lent her very own pearl and diamond Bulgari earrings to Northern lass Riseborough in order to achieve the precise look she desired. SEEKING A FRIEND FOR THE END OF THE WORLD sees English rose Keira Knightley (Love Actually, Pirates Of The Caribbean, Atonement) team up with funny man Steve Carrell (The 40 Year Old Virgin, Anchorman: The Legend Of Ron Burgundy, Despicable Me) to create some beautiful but unexpected cinema chemistry. The two navigate the chaotic world when informed there are just three weeks until an asteroid collides with Earth, and they set out on an adventure to rekindle old flames before time runs out. BEL AMI follows the gorgeous but penniless Georges Duroy as he tries to rebuild his war stricken fortune by seducing Paris’ most wealthy women. Robert Pattinson (Twilight, Remember Me, Harry Potter and the Goblet of Fire) stars as the greedy womaniser, taking Americans Christina Ricci (The Addams Family, Sleepy Hollow), Uma Therman (Kill Bill Volumes 1 and 2, Pulp Fiction) and Cornwall’s Kristin Scott Thomas (Four Weddings and a Funeral, Nowhere Boy) as victims. We’re having a look back at some of the most memorable American-British collaborations, to celebrate these upcoming films and the special union of artists that help bring in the big bucks (or pounds). Written and directed by Richard Curtis, Love Actually is famous for its all star cast including Keira Knightley, Alan Rickman, Emma Thompson and Laura Linney. One storyline follows Brits Hugh Grant and Martine McCutcheon in a tangled love triangle with a US president, played by Billy Bob Thornton, and comedy actor Kris Marshall can’t believe his luck when he meets a group of American girls, amongst them Denise Richards, who fall for his unmistakably Basildon accent. Another film starring Keira Knightley, who plays the feisty Elizabeth Swann alongside Johnny Depp, Orlando Bloom, and Zoe Saldana, as they take part in a quest to unveil the secret of the Aztec gold that belongs to a villainous fleet of immortal pirates. American actor Depp’s critically acclaimed portrayal of Captain Jack Sparrow was famously based on Keith Richards – but during filming, Disney executives weren’t so confident with Depp’s performance, and even proclaimed he was ‘ruining the film’. Although Monty Python is known for being quintessentially British, many are unaware that Terry Gilliam is an American through and through, and the Minneapolis born and bred actor allows the highly influential comedic troupe to be a sturdy contender in the running for best Trans-Atlantic collaboration. 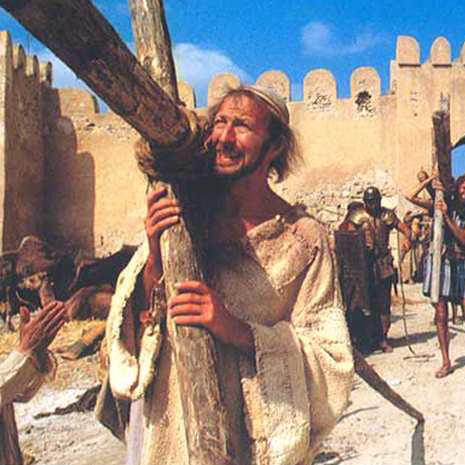 Life Of Brian tells the remarkably Pythonesque ‘What If?’ story of a baby who is confused with Jesus of Nazareth on the night of his birth, causing him to reluctantly live the life of Christ, much to his objection. Alfred Hitchcock is undoubtedly one of the best directors of our time, and the Essex born film maker created a masterpiece when he cast Anthony Perkins and Janet Leigh to feature in this haunting thriller. Leigh plays one of Hitchcock’s signature cool blonde bombshells, and gets wrapped up in a plot involving theft, murder and splitpersonalities, and is the star of the gruesomely infamous shower scene. Tarantino, the Tennessee director of Django Unchained, Kill Bill, and Inglorious Basterds created Pulp Fiction with a predominantly American cast, including John Travolta, Samuel L Jackson, Uma Therman, but opened the movie with the legendary “Pumpkin” and “Honey Bunny”, the former played by London lad Tim Roth, as he erupts from his booth in an attempt to rob the diner at which he is having breakfast. Arguably Cincinnati born Steven Spielberg’s greatest triumph, starring Irish jewel Liam Neeson as Oskar Schindler and a cast including such English theatre greats as Ralph Fiennes and Ben Kingsley, the story follows Schindler, a real life businessman who feels compelled to turn his factory in to a refuge for Jews when he can no longer bare the sickening murders caused by the Nazi government. Christopher Nolan’s modern masterpiece is a giant toy box filled with treasures from both sides of the water including Tom Hardy, Leonardo Di Caprio, Michael Caine and Pete Postlethwaite. 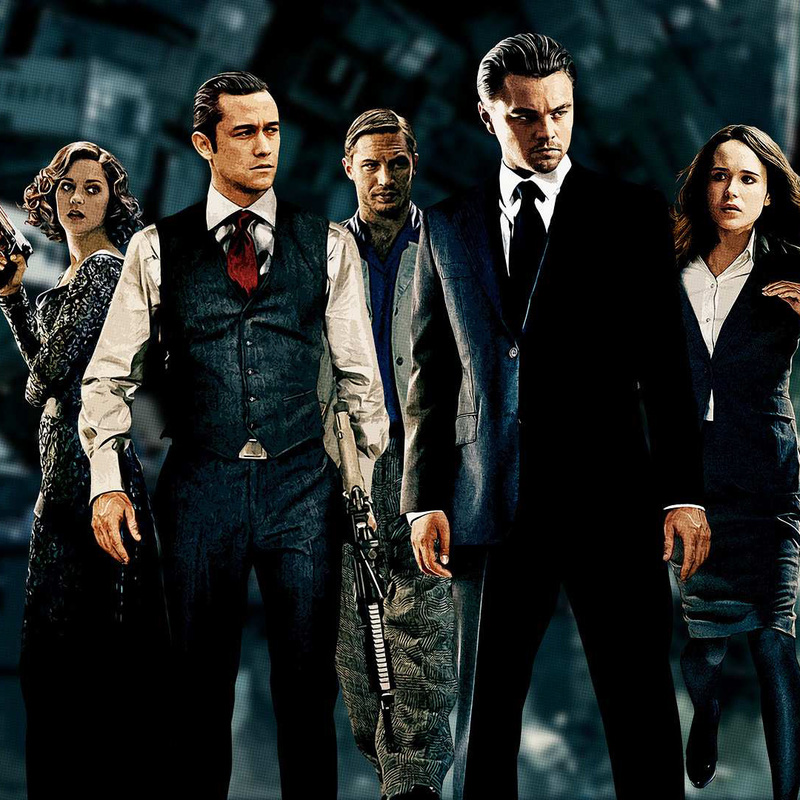 The London director and his star studded team tell the story of thieving international vigilante, Dom Cobb, as he sets out to do the opposite of the very thing that he has revolved his life around – instead of stealing secrets from people’s dreams, he and his loyal specialists set out to plant an idea in their target’s mind that could make for the perfect crime. Another British directed piece that started the iconic James Bond franchise rise to its full glory, as the first film in the spy-saga stars Edinburgh’s Sean Connery in the titular role, and is supported by American actors Jack Lord and John Kitzmiller, as well as British actors Bernard Lee and Anthony Dawson, as they tell the first story in the Bond chain. Lord plays the famous role of Bond’s American companion, Felix Leiter, the name combined of Fleming’s two American friends, Ivar Felix Bruce and Tommy Leiter. New York’s very own Martin Scorcese’s Italian-American drama combines the talents of South Londoner Daniel Day-Lewis, Californian Leonardo DiCaprio, Jim Broadbent, Stephen Graham and Cameron Diaz in this fast paced movie set in the mid 19th century. The action is kicked off when a young boy sees his father killed in a brutal battle, and spends years building his strength so he can avenge his father’s death – but this is easier said than done. Richard Curtis features for the second time on our list with his hilarious cast comprising of Hugh Grant, Andie MacDowell, John Hannah and Kristin Scott Thomas. We follow Charles’ story as he falls in love with a woman that he keeps bumping in to at formal events – hence the film’s title. MacDowell makes the perfect companion for British Grant, and the differentiation of nationalities is heightened by Grant’s trademark ‘Awkward gentleman’ style. ← Competition: Win Arrow Season 2 on DVD! Gangs of New York is an IRISH American drama.. .and Daniel Day Lewis is also Irish. Speaking of homework, the article does mention Daniel Day-Lewis being born in London. He is British. I believe he also holds Irish citizenship and lives in Wicklow when he isn’t in the US. Perhaps you are confusing Daniel Day-Lewis with Brendan Gleeson who also starred in the film, and is indeed Irish. The film itself, whilst depicting Irish characters amongst others, was largely American, part-produced in Italy (which does also begin with an “I”), as the article states.